This bearing masonry building was built in two steps. In 1900, a single story storefront was built for Mrs. Lucinda Ganiard. By 1904, the property was owned by John M. Easterling, who had the building expanded both vertically and to the rear. 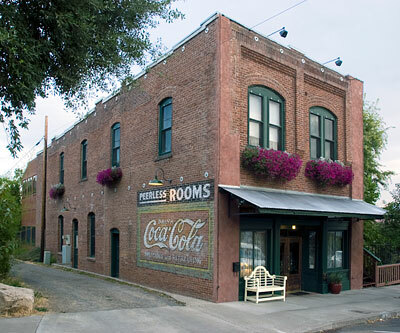 The building became Peerless Rooms, an accommodation for working-class railroad passengers.